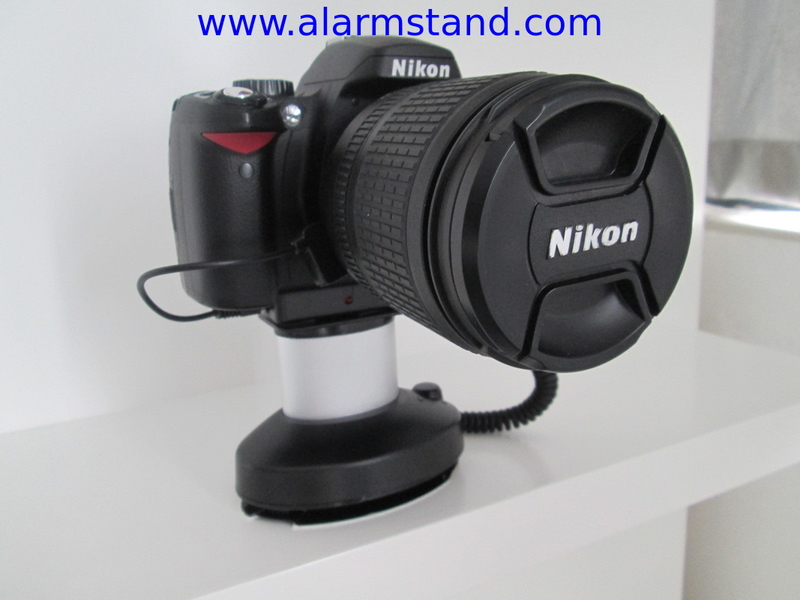 1.Alarm when remove the camera from the sensor or the display stand by force. 2. Alarm when the spring wire is cut off. If any leads to alarm, it will quickly alarm 80-105BS . 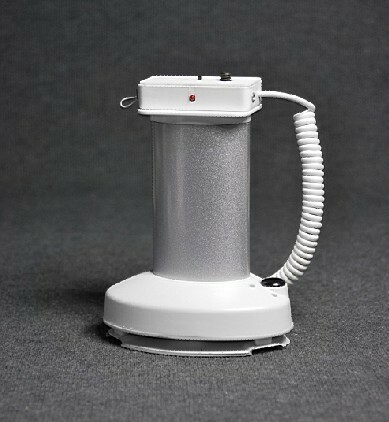 The alarm Column Height could be optional for 10.4cm(total height:14cm) or 5.5cm(total height:9.5cm). Built-in 9V lithium battery, normal standby time: one year. Once the store power is outage, back-up battery will supply power to be normal working with alarm. If the battery is low voltage, the LED light will be flashing with "tick, tick" sound. It tells you that it must be charged by outer power. The top of stand has a gel block, which is convex-concave15mm deep integration. 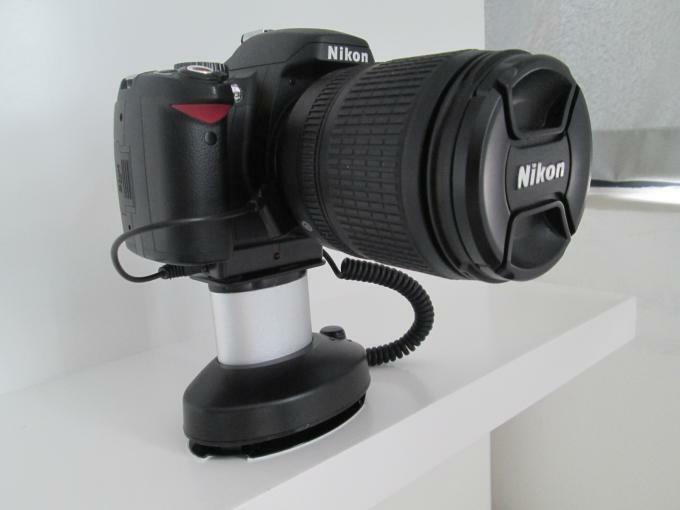 Built-in powerful magnet on the top can automatically get the camera back on the nature position. 1. Fasten the camera with special screw through the stand hole and the hole on camera . 2. Insert the lenses anti-theft magnetic into DSLR camera body and whirl tightly at the Lens rib. 3. Insert the RJ cable into the stand. 4. Paste and fasten the stand on the table. 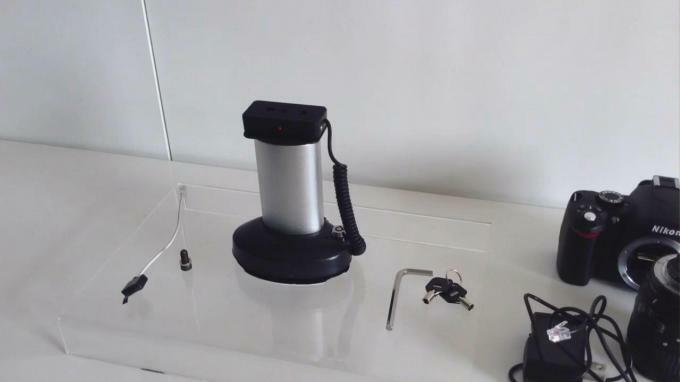 Optional control tools:remote control or unlock key. Smooth surface treatment processing technology, dignified & stable, beautiful & high grade.